Insects significantly outnumber the human population. It is estimated that for every human there are one billion bugs. While most bugs are relatively harmless, they’re unpleasant to have inside your home. Flies, for example, can carry diseases and can make you ill if they come into contact with, or lay eggs on your food. You want to keep critters from getting into your home in the first place, so you need to know how to keep them out. 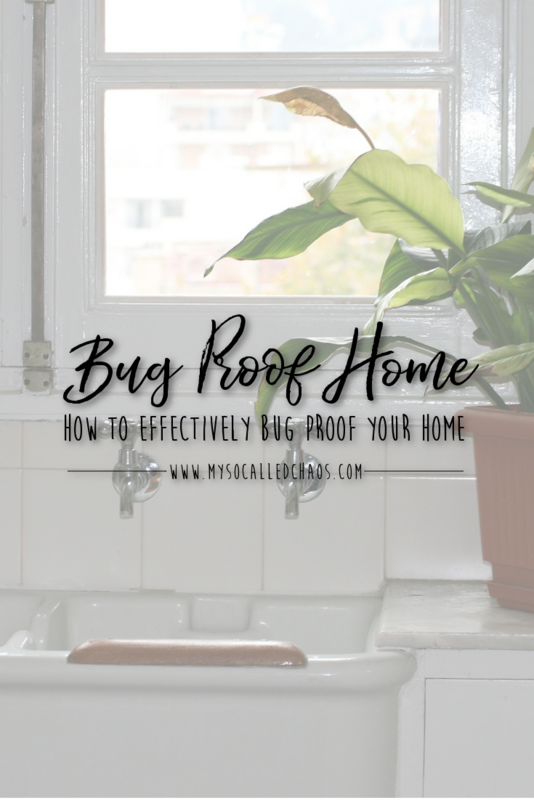 Make sure to take the appropriate action to bug proof your home. There are many ways an insect can enter your home so arm yourself with know-how and stop them in their tracks. When you’ve taken your dog out for a walk, or your cat comes back from roaming the neighborhood all day, it’s important to check for signs of ticks and fleas. Ticks can be removed using a device much like a pair of tweezers. However, you must ensure that you remove the full tick, that is, both the body and the legs that may have burrowed into the skin of your pet. Fleas can soon become a large problem in your home if you suffer an infestation and the fleas from your cat begin to breed in your upholstery and our carpet. If this happens, you will need to contact Flea Exterminator Services so that you can eradicate the problem quickly. If you do notice just a few ants crawling across your kitchen floor or work surfaces, you can lay traps quickly before any more appear. Ants are attracted to sugar so by leaving sugary sticky paper dotted around your kitchen you should be able to trap them and prevent an infestation. Barricade your home against the risk of insect takeover. Make sure that that your home is impenetrable to creepy crawlies. Insects breed quickly, and the warmth of your house can speed up the process. Don’t allow your home to be the host for this and ensure that you’re doing your utmost to keep the bugs out. If you’re leaving these nooks and crannies un-sealed, then you might as well be welcoming bugs into your home. Sealing these can be a DIY job for the weekend and can go a long way to prevent possible infestation. How do you keep your house bug proof?